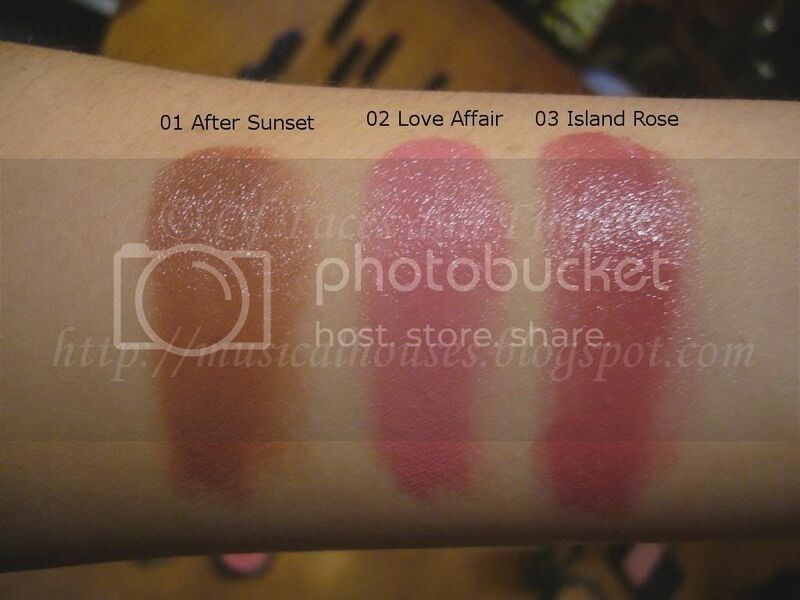 Edward Bess Compact Rouge for Lips and Cheeks Swatches! In my previous post on the Edward Bess launch at Zuneta (HERE), I mentioned that I would be uploading swatch pictures of the Edward Bess products over the next few days. So as promised, here are swatches of probably my favourite product in his entire line - the Compact Rouge for Lips and Cheeks. These are lip and cheek creams, along the lines of Becca, Bobbi Brown, and Stila. However, what I really like about these is the texture of the creams. They're not too soft and gooey, like Becca, and not too hard, like Bobbi Brown and Stila. They're firm yet blendable and soft. And they aren't sticky when you apply them, so that's a major plus in my book. Packaging-wise, these come in sleek-looking black compacts with a mirror inside. They're not as huge as the Bobbi Brown Pot Rouges, but they aren't as tiny as the Becca ones either - I think they're somewhat bigger than the Becca ones if I recall correctly, but I'm not entirely sure. I love these colours, they are so pretty and universal. In particular 01 After Sunset looks like it might be a dupe for Bobbi Browns Blushed Rose Pot Rouge, which was stupidly discontinued by Bobbi a while back. (Don't ask me why - I've no idea, and it was the best selling Pot Rouge colour for years...) So if anyone wants a substitute for Blushed Rose, this is worth a go. 01 After Sunset is a beautiful neutral pinky-brown. This is one of those colours that looks good on everyone, as long as it shows up on you. Like Bobbi Brown's Blushed Rose, it looks a little blah and brown and flat in the pan, but swatched and blended out, it's a beautiful muted rosy glow. I really love this colour, and I think it's very similar to Blushed Rose, even if it's not a dupe. 02 Love Affair is a light neutral pink. Also another universally flattering colour, this one is perhaps geared to the lighter girls among us. 03 Island Rose is a lovely medium neutral dusty rose. I really love this shade - its another of those universally-flattering colours that would look good on almost everyone. This is probably my favourite of the bunch! The thing I really like about the colours is that they are all work appropriate - the colours are neutral, go with everything, and don't have any wild shimmer or sparkle. I mean, who doesn't need a pinky brown, a light pink and a rose blush? These are pretty much basic blush colours that every girl should have in her arsenal. If you're interested in these but hesitant about the colour - go ahead and get them, you might be surprised by how good they can look once applied. I really have to get my hands on some of these. They look great!